Mengurai simpul kekerasan seksual; Pekerja seks anak, siapa yang melindungi mereka? IPPI is a national network initiated by and for women who live with and affected by HIV established in 17 June 2006 in Jakarta, Indonesia. IPPI vision is to empower women living with HIV and affected women in order to attain equal and well-being life in their health, social, educational and economic aspects. IPPI mission is to strengthen women living with HIV and affected women’s ability to empower themselves and other women in health, social, educational, and economic aspects through advocacy, funding, skill improvement in order to attain their well-being. IPPI covered area of work in 25 provinces and lead by 25 women as Provincial Coordinator. IPPI had strong experience in implementing the UN Trust Fund project which integrated the VAW and HIV services in two cities in Indonesia. The project aimed to increase the awareness of the general population on the linkages between HIV and VAW and the available services in their community through the involvement of media. Mass media (printed and electronic) were used for this dissemination, and the project collaborated with a private radio station in Jakarta to broadcast information about HIV, sexual and reproductive health and rights, violence (especially violence against WLHIV). The project also conducted a blog competition to receive responses from the general public on issues related to HIV and VAW. The current situation shows that some of the online messages have been published, but that the content and way of writing needs to be improved further. SRHR education at community health centre, for Pregnant women, key population intimate partner and WLHIV. Short Film to increase women awareness of HIV infection and promote HIV testing. Women handbook: Contraception, HIV and STI, PPTCT, Women’s Rights, Sexual Reproductive Health and Right, etc. Referral system for HIV and VAW. Develope guideline of Prevention Mother to Child Transmission (PMTCT) for women living with HIV communities. Workshop integration VAW and HIV in 8 cities. 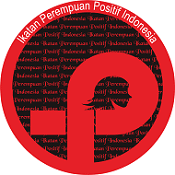 IPPI is a national network initiated by and for women who live with and affected by HIV established in 17 June 2006 in Jakarta, Indonesia.